In 2004 The Jakes were formed while the members were still in school. Eventually it resulted in Young The Giant after a few changes, a band with five members and different ethnical backgrounds. They won a contest that allowed them to open for Kings Of Leon and that put it all in motion. They were signed by RoadRunner Records and last year they released their self-titled debut album in the US. Now it's Europe's turn to get to know the band from California. And they started off big right away. Producer Joe Chicarelli was brought on board who worked with The White Stripes, The Raconteurs and My Morning Jacket in the past. And the production sounds great. Both the vocals and instruments sound clear and well done. 'My Body' that was released as a first single in the US and on iTunes is a good song and a nice introduction to the band. Current single 'Apartment' in Europe also is not a bad song. All looks fine so far you'd think. But that's exactly what's wrong, since it's nothing more than just fine. The first spin it all sounds pretty fresh and okay. But after a few more listenings the record starts to get weary. The novelty has worn off and what remains is an average indie rock album that doesn't leave a big impression. Singer Gadhia is a sort of hoarse version of Coldplay's Chris Martin and the music also fits this category. But where Coldplay is top of the bill with qualitatively strong songs, Young The Giant doesn't deliver anything exciting. The lyrics also don't add any new insights or creative findings. And besides the mentioned 'My Body' not one song is really convincing. 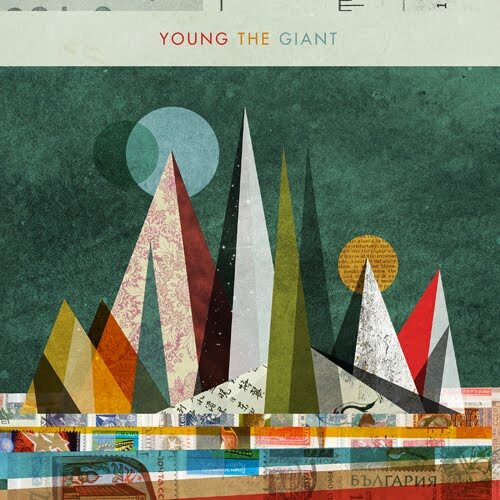 Young The Giant turns out to be the opposite of a grower. In the beginning it may be quite enjoyable but after a while the songs lose their spark. The band is an average indie rock band with equally middle of the road songs that will be doing great as background music in a supermarket. They won't be able to impress many people with it at this side of the ocean.